Charlie E. Meier serves as the State Representative in the 108th House District. Prior, Charlie served six years on the Washington County Board. 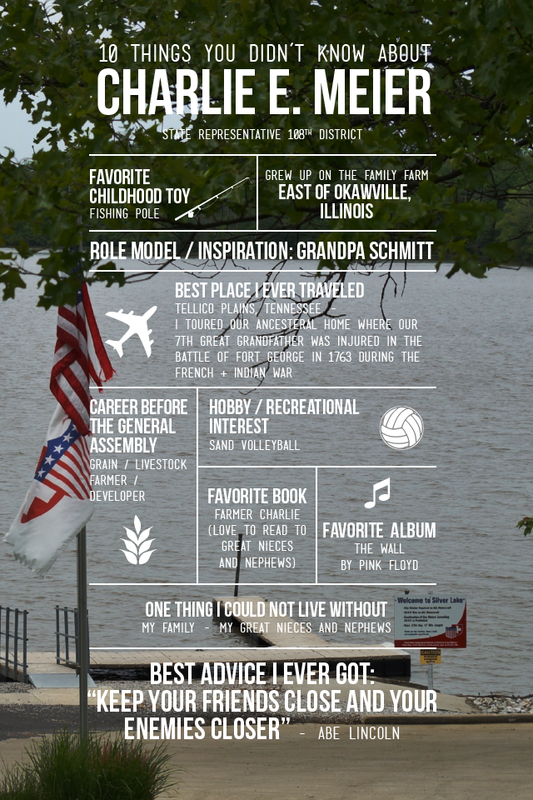 Charlie is a lifelong resident of Washington County. In 2009, Charlie was awarded the State of Illinois Conservation Farm Family of the Year, which recognizes leaders in land conservation that uphold the responsibility to restore its natural productive beauty for future generations. 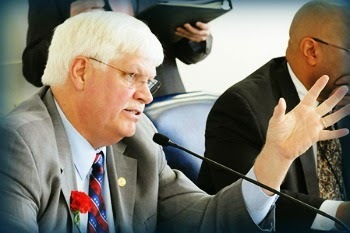 Read more about Rep. Meier. 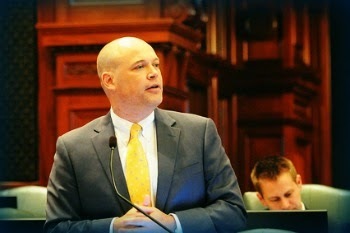 Rep. Ron Sandack a member of the Legislative Audit Commission spoke at a recent press conference about the scandal-ridden anti-violence program. Gov. Pat Quinn has signed into law a farmers market measure that is the result of a six-year campaign to support the booming local foods movement in Illinois. 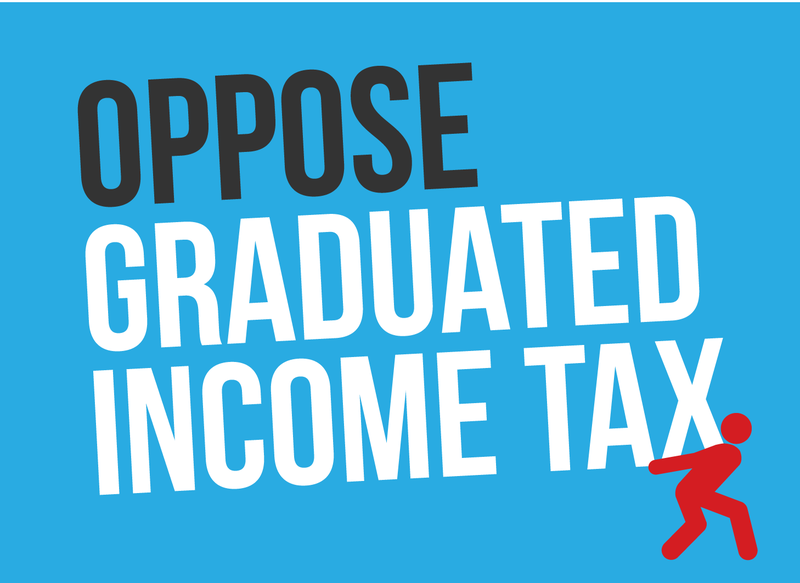 The measure, first introduced in 2009, was passed unanimously by the Illinois General Assembly last month. It was sponsored by Rep. Mike Tryon, of Crystal Lake, and Sen. David Koehler, of Peoria. Read more by Robert Themer in The Daily-Journal. Gov. 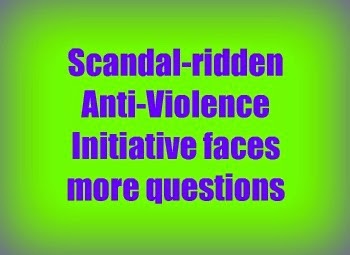 Pat Quinn's scandal-plagued anti-violence initiative directed thousands of state dollars to a nonprofit that purported to provide services for former inmates, but actually never existed, according to a published report Wednesday. Project Hope, Inc., which was run out of a suburban Chicago day care center, received $15,770 through Quinn's 2010 Neighborhood Recovery Initiative, the Chicago Sun-Times reported. The newspaper cited state records that also showed it took months for officials to notice. Read more from the Associated Press in the Pantagraph. A legislative subcommittee voted Monday to subpoena seven former state officials connected to Gov. Pat Quinn's troubled anti-violence initiative that's also under federal and Cook County probes. The rare move — the Legislative Audit Commission last issued subpoenas in the early 1980s — would mean that the former state officials would be compelled to turn in documents and testify next month over two days about the 2010 Neighborhood Recovery Initiative, which was blasted in a state audit earlier this year for mismanagement and misspending. The subpoenas still required a sign off from state Rep. Frank Mautino, a Democratic co-chair of the commission that reviews state audits. Read the Associated Press story by Sophie Tareen in the Belleville News-Democrat. Norine K. Hammond was appointed on Dec 9, 2010 to fill the vacancy of the late Representative Rich Myers. In 2013, Representative Hammond was reelected and sworn in as the State Representative for 93rd district, which includes all or parts of Brown, Cass, Fulton, Knox, Mason, McDonough, Schuyler, and Warren Counties. 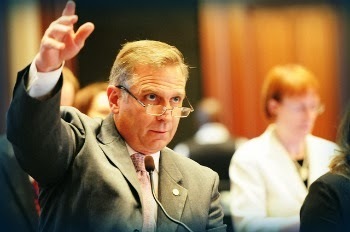 Rep. Hammond has been a constant advocate for agriculture and improving Illinois’ education system. As a gun owner and member of the NRA, she is a strong Second Amendment supporter. She believes that in order to improve the Illinois economy we must put in place strong spending reforms and make changes to our worst in the nation workers’ compensation laws. Medicaid expansion bill signed by Governor. Many health care advocates have expressed concerns to the State about various payments made and not made, and treatments offered and not offered, within Medicaid under current law. SB 741 contains a complex package of changes to the Medicaid system negotiated by the State, hospitals, nursing homes and other medical care provider organizations. Some of these revisions are designed to draw in matching funds from the federal government, but the State and its taxpayers will also have to put up a stream of money. The annual cost of the changes contained within SB 741 is estimated as at least $221 million per year. Persons concerned about this bill believe the cost could be more accurately estimated at $275 million per year. The former head of the now-disbanded state agency put in charge of Gov. Pat Quinn’s discredited Neighborhood Recovery Initiative may be compelled to testify in front of a legislative panel next month. 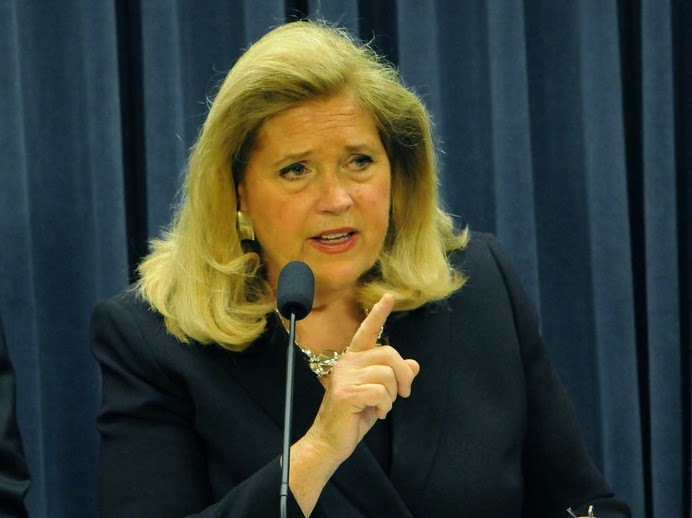 A four-member subcommittee of the Legislative Audit Commission posted notice Tuesday that it intends to meet next Monday in Chicago to vote on whether to subpoena Barbara Shaw to appear before the commission. Dave McKinney with the SunTimes has the story. Governor Pat Quinn has signed legislation to support repairs to the Big Muddy Levee. Senate Bill 2721, sponsored by State Senator Dave Luechtefeld (R-Okawville) and State Representative Mike Bost (R-Murphysboro), allows Jackson County leaders to use an expired bond referendum to raise up to $1.7 million for critical repairs. WSILTV has the story. 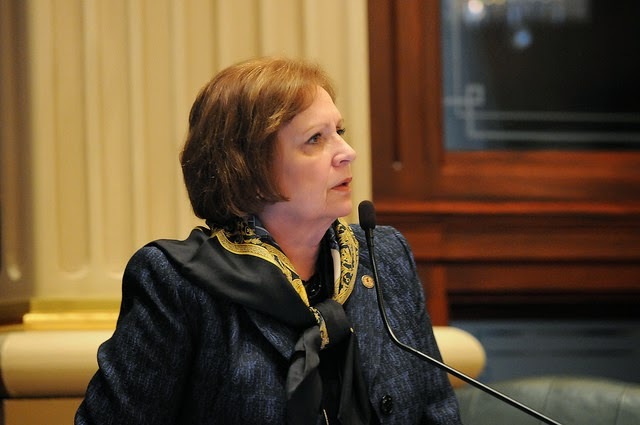 Illinois Transportation Secretary Ann Schneider said in April she knew nothing about potentially illegal patronage hiring at the state agency she runs. Now, Schneider is refusing to discuss how her stepdaughter secured a job and promotion at the Illinois Department of Transportation — and whether the proper personnel procedures were followed. Read the story by Patrick McCraney of the Better Government Association in the Chicago SunTimes. A Republican lawmaker has called for investigations into spending costs associated with promoting President Barack Obama's health care law in Illinois. The Associated Press reported that a key subcontractor working on the "Get Covered Illinois" campaign was owned by three former aides to powerful Democrats. They were among consultants whose hourly billing rate of $282 is raising questions about whether Illinois did enough to rein in taxpayer costs. Their firm could take assignments directly from Gov. Pat Quinn's administration under a provision of its subcontract. The Southern reports the AP story. 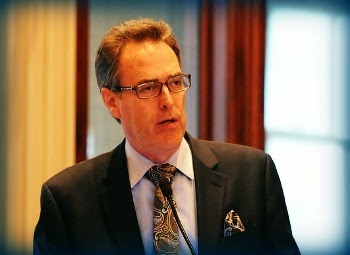 Represenative Mike Tryon was born in Terra Haute, Indiana, on July 31, 1955. He graduated from from Indiana State University in 1978 with a degree in Environmental Health Science. 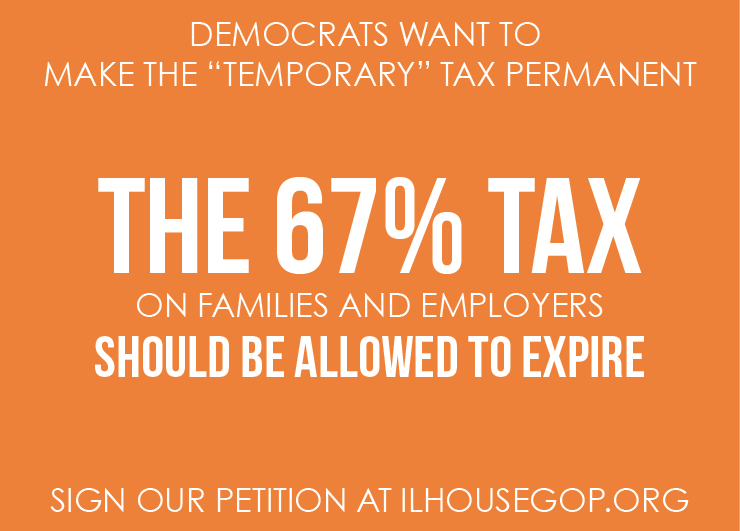 Mike represents the 66th District that includes portions of McHenry and Kane Counties. 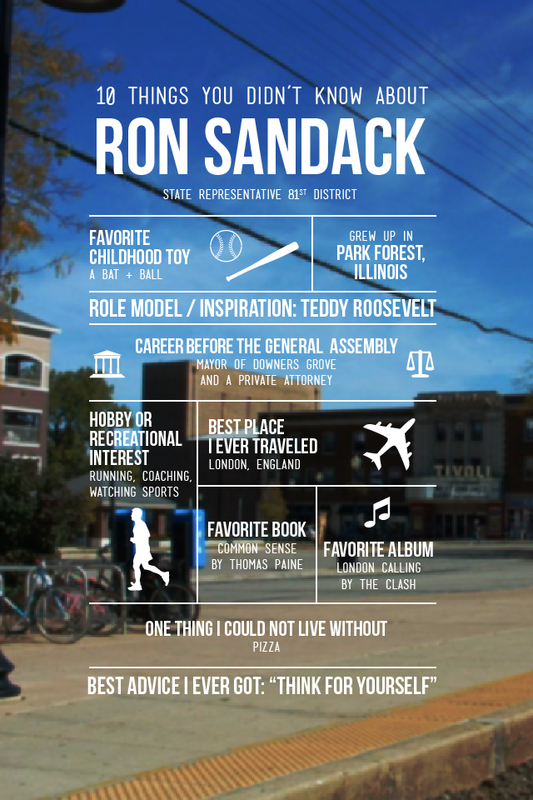 He first came to the district to take a job with the McHenry County Health Department after graduating from college. While working for the county, he not only fell in the love with the area but also met his future wife Cathy, who at the time worked in the building and zoning department. 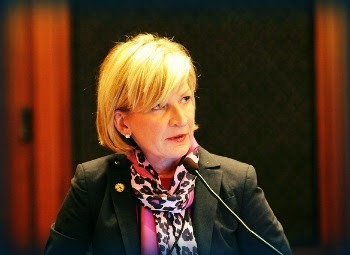 Read more about Rep. Tryon. Legislative Audit Commission schedules next NRI briefing for July 16. 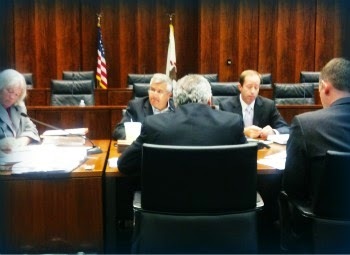 The Legislative Audit Commission, which reviewed the performance audit of the Neighborhood Recovery Initiative (NRI) on May 28, is continuing its investigation of the troubled NRI program. This was the program, overseen by the since-disbanded Illinois Violence Prevention Authority, which distributed grants to Chicago social workers for the stated purpose of increasing neighborhood and community ties and fighting street crime. Spurred by the uproar over the potential $871,000 severance payout awarded last summer to ousted Metra CEO Alex Clifford, state lawmakers have approved a measure requiring tighter scrutiny over future payouts for transit agency employees. The so-called Clifford clause is part of a broader bill containing several reforms intended to strengthen oversight of the CTA, Metra and Pace and provide more accountability of those agencies, according to legislators. The legislation would give more teeth to the Regional Transportation Authority, which critics contend lacks enough power to ride herd over the agencies. 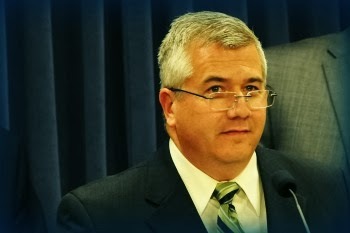 State Rep. Michael Tryon, R-Crystal Lake, a chief co-sponsor, said the bill is needed to "rebuild the trust" of transit users and taxpayers dismayed by the Clifford episode. Gov. Pat Quinn supports the measure, known as Senate Bill 3056, and intends to sign it, a spokesman said. Read the rest of the story by the Chicago Tribune's Richard Wronski. Ever given any thought to what it must take to become a state trooper? The Illinois State Police has created a new recruitment video to give you a brief glimpse into what it is like to be a trooper. Interested? The links below provide additional information. Governor Pat Quinn today signed legislation to help organizers of charitable poker runs in Illinois. The legislation ensures that more of the money raised from these grassroots events will go toward the intended recipient by reducing required fees. Today's action is part of Governor Quinn's commitment to encourage volunteerism in Illinois. "These rides are a creative way to raise funds to support worthy causes," Governor Quinn said. 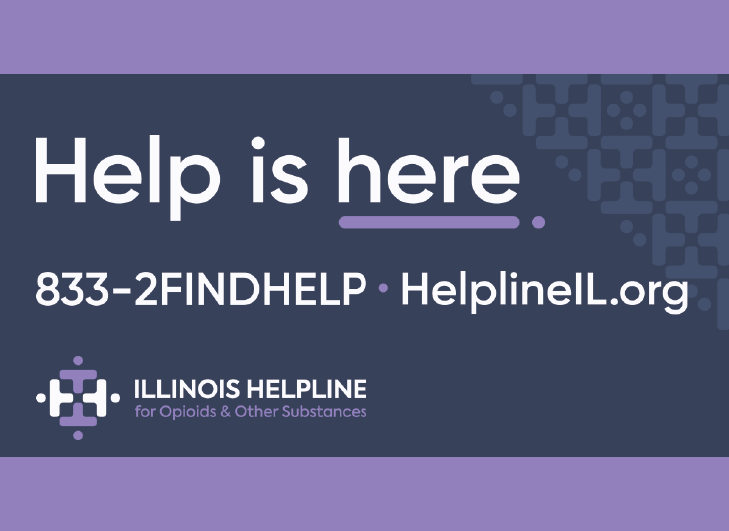 "This new law will help even more events get rolling and help support organizations across Illinois." 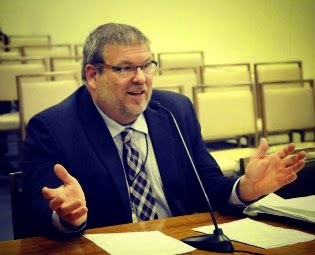 According to Representative Rich Brauer, the House sponsor of the bill, "This legislation cleaned up some regulations that were impeding motorcycle-based fundraising events." Read more here. Gov. Pat Quinn signed the "cupcake bill" in the kitchen where it all began, with 12-year-old baker Chloe Stirling and her family looking on Tuesday. The signing had the atmosphere of a neighborhood block party, with dozens of people in the Stirlings' Troy home - and a lemonade stand in the driveway, operated by Chloe's little sister Sophie. The governor bought two cups of lemonade on his way into the house. 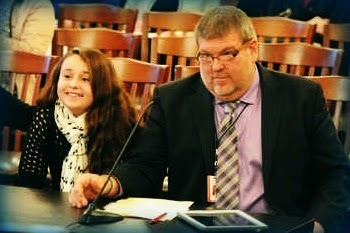 Flanked by state legislators and the Stirling family, Quinn signed the bill that made Chloe's baking business legal again. "I'm happy I'm going to be baking again, and happy that other home cooks can bake again without getting in trouble like I did," Chloe said. The New-Democrat's Elizabeth Donald has the story. 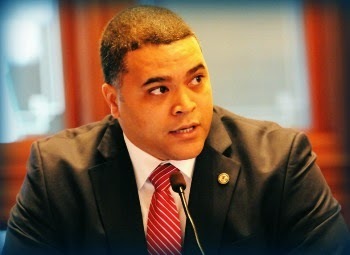 Rep. John Anthony, R-Plainfield, will be utilizing his knowledge as a former sheriff’s deputy in his new appointment to two panels dealing with criminal justice reform and illegal gun trafficking. Anthony has been appointed by House Minority Leader Jim Durkin, R-Western Springs, to serve on the panels, according to a news release. The Joint Criminal Justice Reform Committee, comprised of five members from the House and five from the Senate, will examine the impact of the current sentencing structure, ensure enforcement and punishment of crimes does not disproportionately or unfairly affect certain racial, ethnic or minority groups; and develop solutions to address issues that exist within the system. The committee is required to submit a report to the General Assembly by Dec. 1. 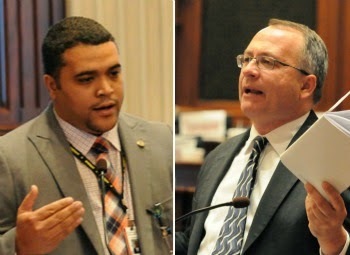 The other three House members on the committee, appointed by House Speaker Michael Madigan, include Rep. Ken Dunkin, D-Chicago; Rep. Arthur Turner, D-Chicago; and Rep. Mike Zalewski, D-Riverside. Former prosecutor Rep. Dennis Reboletti, R-Elmhurst, is the other Republican appointed. The committee was established May 30. Read the story by the Morris Daily Herald. Government officials met in Hinsdale with Salt Creek as a backdrop June 5 to announce the state has approved a $626,000 grant that will allow a flood control project for the Graue Mill subdivision to go forward, and to praise the homeowners for making it happen. Homeowners hired Christopher B. Burke Engineering Ltd. and started working on a flood control plan after heavy rains caused Salt Creek to overflow its banks in July 2010 and cause more than $5 million in damages to the 243-unit development, known as Graue Mill Country Residences, as well as to other homes and businesses in the area. The damage was more extensive after storms in April 2013, when village employees evacuated residents in dump trucks and boats, and the complex was without electricity for days. Kimberly Fornek with Hinsdale Doings has the story. Sign up to get Week in Review emailed to you. $1.1 billion for roads and bridges. HB 3794 and SB 3224, a two-bill package, sets aside $1.1 billion for road and bridge repairs in Illinois. Of this sum, $100 million will be distributed to local governments by pre-existing formula, and $1.0 billion will be spent through the Illinois Department of Transportation (IDOT) on urgent road and bridge projects identified in the Department’s existing multi-year plan. Proponents of these bills point to inadequate funds from motor fuel taxes. 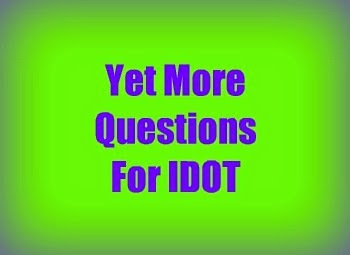 The legacy of increasing numbers of Illinoisans buying gas-sipping smaller vehicles, and repeated raids on the Road Fund to meet other spending programs of the State, have made it impossible in the eyes of transportation experts for IDOT to fully fund its commitments to construct and reconstruct the road and bridge projects that its long-term plan had already committed to accomplish. The $1 billion committed in this two-bill package is meant to provide resources to maintain the usable status of Illinois roads and highways and to keep these road safety and usability commitments. 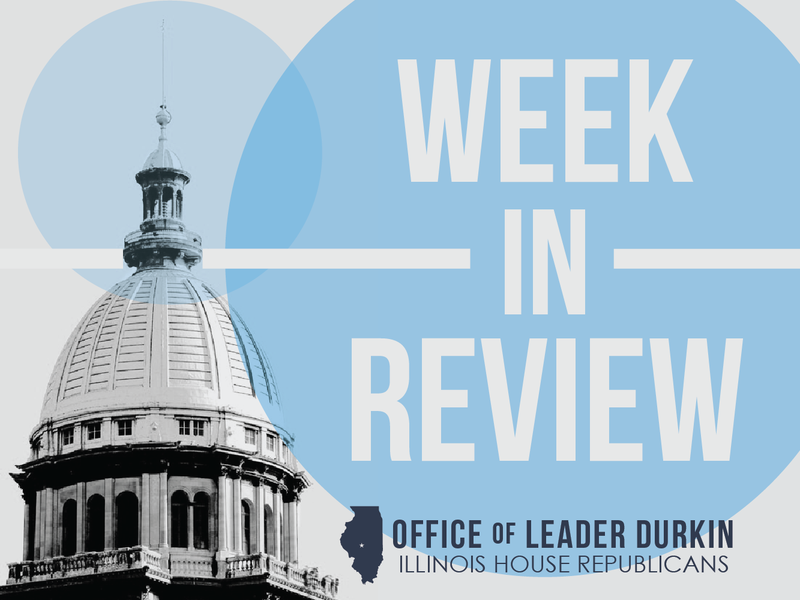 For the umpteenth year and counting, Democrats in the General Assembly last week approved a sham of a budget that relies on many of the same gimmicks that have all but bankrupted Illinois. The 12-month spending document, passed with no Republican support, doesn’t reduce the state’s record spending. It further relies on delaying paying the state’s bills. It borrows money from special funds to pay for operational expenses. And it counts on inflated future revenue projections that may never materialize. 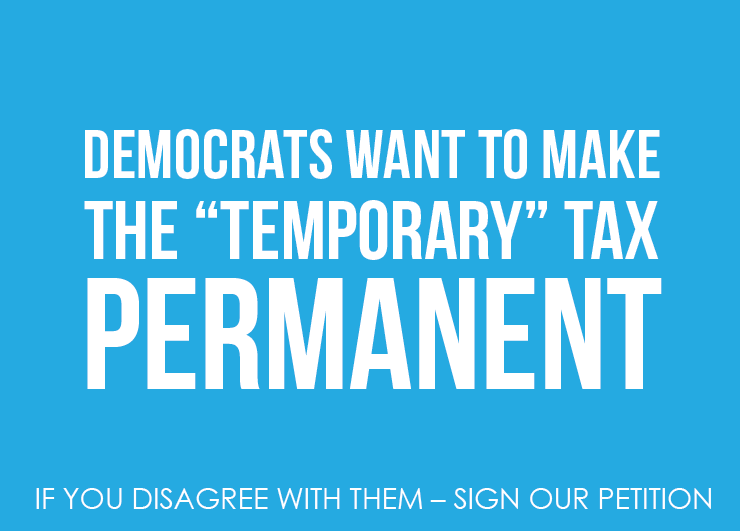 The budget also doesn’t account for the declining revenue from the scheduled Jan. 1 rollback of the 67 percent “temporary” tax hike passed by Democratic lawmakers in January 2011. Read the entire editorial by The Northwest Herald Editorial Board.